Ashwin is an intercalating medical student who pursued an innovative interdisciplinary masters degree under the MIMIT initiative, aiming to bridge the gap between clinicians, engineers, and physical scientists. In collaboration with Professor Noel Clarke’s group at the Patterson Institute of Cancer Research, he has been using a variety of spectroscopy methods (ATR, single point, and imaging FTIR) to identify spectroscopic markers for early prostate cancer diagnosis. 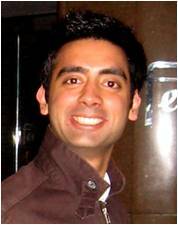 He has gained substantial experience in Matlab programming and multivariate statistical analysis to examine these extensive datasets.